If you're running a side business or you freelance, keeping accurate records is essential. When it comes to tax time, you're going to need to have an accurate statement of your income and expenses so you can properly fill out your tax return. Furthermore, when you run a business (or even if you're side hustling by driving for Uber), you simply need to know where you stand. Are you making money or are you losing money? That's why you need to use some type of accounting software. For many, the thought of "accounting" sounds scary, but it's actually really easy, especially if you use the right tools. ​Accounting simply means keeping track of your income and expenses. When you get paid, you input that. If you have an expense, you keep track of it. Great accounting software makes it easy and painless. And if you're only doing this as a side gig, then it's even more important it doesn't take a lot of time. 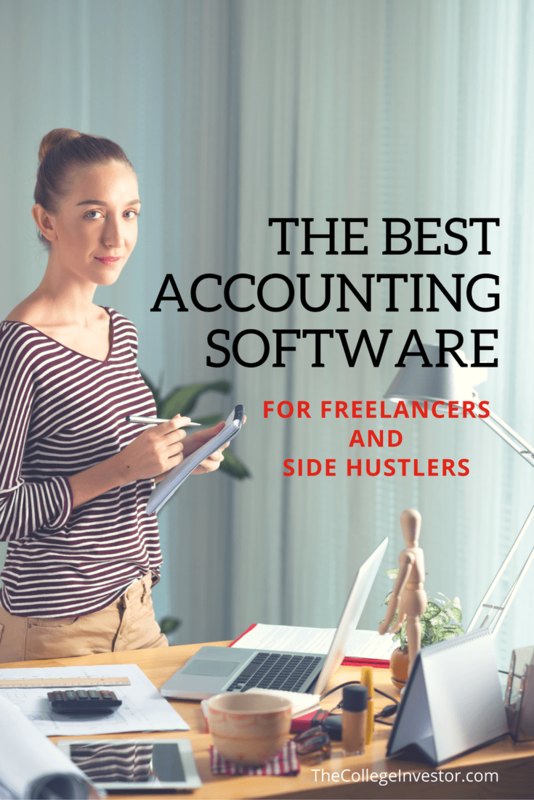 What Is The Best Online Accounting Software For Side Hustlers? In order to judge this, we need some criteria. Given that I've been running a side hustle for years, here is what I look for in my online accounting software. Low Price: Honestly, since this is just a side hustle, it needs to be low cost. Free is even better. ​Automatically Syncs With Bank Accounts: I need my accounting software to link up with my bank accounts to automatically import my transactions. It makes things helpful. Invoicing: In my business, I send out a lot of invoices, so having it done digitially is great. We also looked at Kashoo, Sage, and Zoho Books, but none of them competed well enough for our needs to include in this list. If you have an experience with them, please share it in the comments! 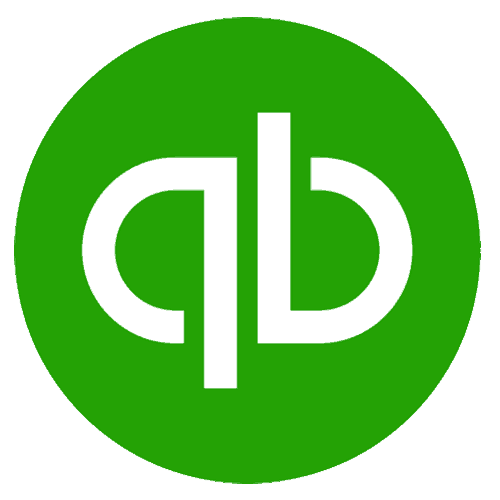 Q﻿uickbooks Online is the solution we use here at The College Investor. We love it because it's robust, easy to use, has a good app, and it's pretty much the industry standard for accounting software, so there are lots of tutorials available if you need help using it. Quickbooks Online also offers a free trial to get started. Quickbooks Online also offers a 6 month discount for when you first sign up. These prices reflect the full monthly price. For most side hustlers and freelancers, the Simple Start plan is all that you need. You can send invoices, track and manage expenses, and you get access to their great app. It also automatically syncs with your bank accounts so that you can easily import your transactions. Finally, their online platforms ensures that your information is always synced and up-to-date. Xero is probably the biggest competitor to Quickbooks in terms of offering a full-fledged online accounting platform. It has all of the same major features of Quickbooks Online, with many saying that is has better customer service. It has a great app, and it is robust for any small business. What really holds Xero back from the top spot for us is that it's cheapest plan is very limiting in what you can do. While it's cheapest plan is cheaper than Quickbooks Online, it limits you to just 5 invoices and 5 bills per month. For some small freelancers, that might work, but the for many it won't. And the jump to the next level plan is the same price as Quickbooks Online's mid-level Essentials plan. Just like Quickbooks Online, Xero offers a free trial so you can give it a try and see if you like it. Also, they offer a 30% discount for the first 6 months when you sign up. Wave A﻿ccounting was the accounting program that I started with several years ago for a simple reason - it's free. Seriously - all of the basic stuff is free. Wave charges for payments made via invoicing, which is similar to almost all other platforms. They also offer premium services such as bookkeeping, which you can pay for. We ultimately switched away from Wave because we out grew it. We needed more features, which Quickbooks offered, and we found the syncing of accounts to be glitchy. And since it is free, the support is lackluster. FreshBooks is one of the most popular invoicing software programs for freelancers and side hustlers, and it's really been evolving over the last few years into a full-fledged accounting platform. FreshBooks is one of the best choices for freelancers who need to invoice a lot, and use PayPal. It also has great time tracking and project management features, which is a little different approach than the other products we mentioned above. FreshBooks also has one of the best mobile apps we've seen when it comes to accounting and invoicing. They have really designed a mobile-first app. We like their Plus pricing, which includes 50 clients per month, and should be good for most freelancers and side hustlers. FreshBooks also has a 30 day free trial so you can try it out and see what you think. So, let's go back to our main criteria for what makes great accounting software for freelancers and side hustlers. It should automatically sync with your bank accounts. All of them do this, but we found Wave to be a bit glitchy. ​Payment Acceptance is important. All of them offer this, with similar fees being charged by each. FreshBooks has PayPal business, with is a differentiator. Wave Accounting if you want a free accounting program that does invoicing. ​Otherwise, we recommend Quickbooks Online if you think you're outgrowing Wave or want to be prepared for the future. What accounting program are you using to keep track of your side hustle money? GoDaddy Bookkeeping is great too, especially for Etsy, Amazon and eBay sellers. Interesting, never heard much about them. Why do you like them?